Prior to living indoors, we all experienced the benefit of clean, fresh outdoor air that had been scrubbed by plants. Now that we live in modern shelters, we use artificial means of filtering our air through heating and cooling systems. Plants absorb air-polluting organic and inorganic chemicals and biodegrade them into compounds that the plant can use. Each plant species evolved its’ own genetic code to make use of the particles in the air to meet its’ needs. A plant study as far back as 1772 showed the benefit of plants for restoring air that was stagnant and low in oxygen from burning candles and from keeping animals. Plants have also been studied for their ability to purify and revitalize air for use by astronauts in space stations and future moon bases. In a six month study of a plant filled room compared with a room without plants, the levels of airborne microbes and bacteria were 50% higher in the room without plants. Plants in the home also increase humidity, which reduces irritation from dry sinuses, reduces the severity of asthma and also reduces congestion. The scent of lavender is almost universally described as soothing. Lavender oils have been used for centuries as aromatherapy. Even hospitals are making use of lavender essential oil aromatherapy. In one study, patients who received aromatherapy with lavender reported significantly greater improvement in their mood and perceived levels of anxiety. Growing lavender indoors can be difficult as the plant requires a very sunny spot. If you have a south-facing window in your house, take advantage and put your lavender plant here. The fresh aroma will lend a sense of calm and reduce any stress that you might feel. In case of a minor cut or burn, break off a piece of the plant and apply the gooey aloe vera liquid inside the plant leaf to the wound. Aloe gel can also be used on the skin to help with psoriasis, frostbite, and sores caused by the Herpes simplex virus. This spiky succulent can be kept in the kitchen window. Since it is a succulent, it requires less frequent water but a good amount of sun. Gerbera daisies are those large, colorful orange or pink daisy blooms found in expensive floral arrangements, but you can have them year-round in your own indoor health garden. Ask your local nursery for a variety of species with different colored blooms to fit your home decor. If you have pets or children who might accidentally eat plants, please be sure avoid placing poisonous plants where they can easily be reached. 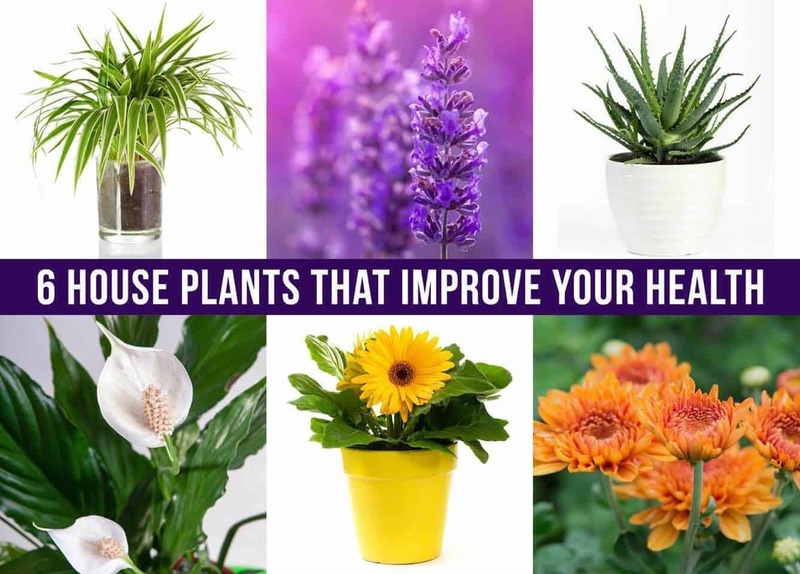 You can check your houseplants against this online list of poisonous plants here.